"... an instant audiophile classic." "The bass drum has massive impact ... strings are silky sweet ... I have never heard a triangle reproduced with such clarity and focus. The famous saxophone solo in the Barcarolle must be heard to be believed. The instrumental texture is amazing as the soloist is shamelessly spotlighted ... you are not likely to hear a better recorded performance of these extended suites." "Both scores receive first rate performances. Soloists have character and ensemble is generally very fine ... both Coppélia and Sylvia are performances of grace and elegance. The recording by Keith Johnson echoes the magic of the music. Johnson captures his usual glorious sound. Air and ambiance surround the orchestra, solos especially ... when the volume 'goes to 11,' fans will not be disappointed. Recommended." Leo Delibes's Coppélia is pure delight, a feast of musicality and humour for all ages, possibly the greatest ballet comedy ever written. This collection of extended suites also includes the composer's romance Sylvia, filled with sighs of longing and the thrill of infatuation. Set in antiquity, the ballet literally places love on a pedestal in the person of the Greek god Eros. 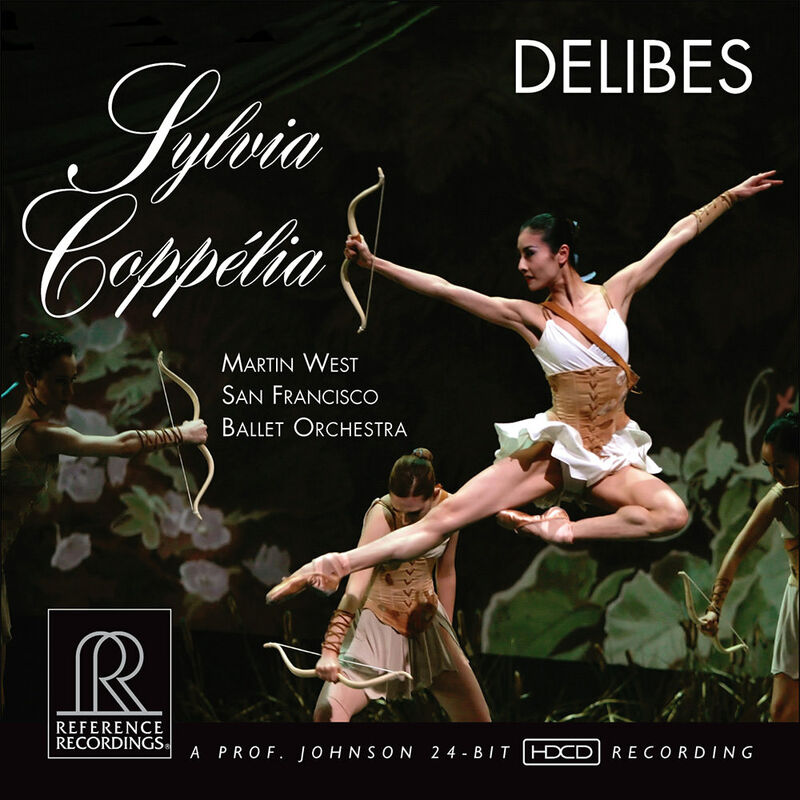 Like many popular compositions, Delibes's works, including pieces of these ballets, have repeatedly been used in films dating back to the earliest talkies. Conductor Martin West is acknowledged as one of the foremost conductors of ballet, garnering critical acclaim throughout the world. The San Francisco Ballet, the oldest professional ballet company in America, was also one of the first dance companies to have its own permanent body of musicians. By the 1990s the San Francisco Ballet Orchestra was generally regarded as one of the finest ballet orchestras in the world. This album was recorded at Skywalker Sound in 2011, produced by multi-Grammy nominees Victor and Marina Ledin and engineered by Grammy winner "Prof." Keith O. Johnson.